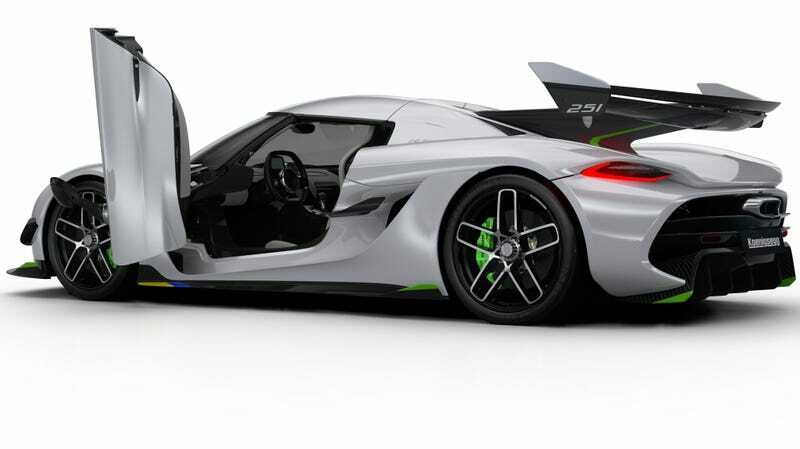 The Koenigsegg Jesko is blazingly fast and already sold out. Which means you or I won’t be getting our hands on it, probably ever. We can still awe at the mechanical bits, though, including what might be Koenigsegg’s last 100 percent internal combustion motor. Koenigsegg itself is also pretty good at explaining what makes the new V8 unique. Basically, they made everything a little lighter, and also implemented the kinds of refinements you’d expect for a supercar-maker that at this point has been around for awhile now. At the core of the newly designed engine is the world’s lightest V8 crankshaft. Weighing just 12.5 kilos, Koenigsegg’s new flat-plane 180-degree crankshaft allows Jesko to produce more power, with greater efficiency, while achieving a higher 8500rpm rev limit. The crankshaft is milled by small manufacturing house located in southern Sweden. It is made to Koenigsegg’s in-house design from a single solid steel billet. The flat-plane design allows even firing across engine banks and an even more visceral engine sound. Koenigsegg has countered the tendency that flat-plane engines have towards greater vibration by designing new super-light connecting rods and pistons. Interestingly, the company opted to make its connecting rods with steel, not titanium—and it says this will not only make the stronger but will come without any weight sacrifice. Humans have been making gas-powered internal combustion engines for over a century now, yet still find ways to make them ever better and efficient. Anyway, I hope the people lined up to buy the 125 Jeskos produced actually will give the them some use.